This pattern makes a wonderful Persian Carpet looking rope. It could be made up as a bracelet, choker, key ring or longer lariat. 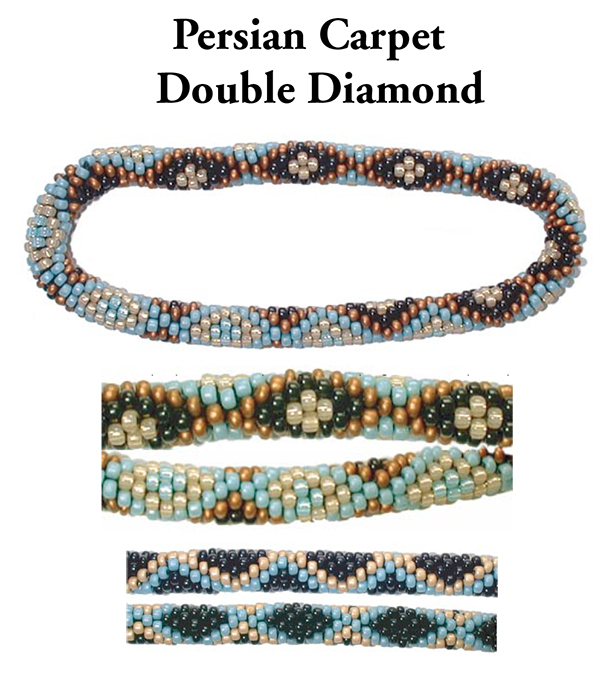 There are 2 graphed designs with the bead colors noted and ideas for creative alternatives. You will need to make your own stringing tables from the graphs. Perfect elegance for Fall or Winter wear. Stitch is 6 around Bead crochet. Finishing details and stitch instructions are not included.